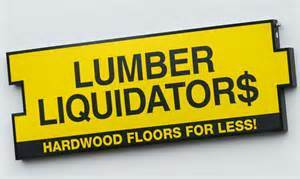 In an episode of Sixty Minutes last year, it was revealed that national flooring retailer, Lumber Liquidators, had exposed consumers to toxic levels of formaldehyde, a chemical that has been linked to an increased risk of cancer and other health issues. The laminate flooring sold by the company and advertised as being cheaper than its other products, was produced outside of the United States where safety regulations differ. Around a year later, the Center for Disease Control & Prevention released a report stating that there was a “low” chance of increased cancer risk from exposure to the flooring and that it wasn’t enough to be considered significant. Yesterday, the CDC, www.cdc.gov, issued a revised statement declaring that their calculations were not accurate and the increased risk of cancer is much higher than previously thought. The CDC document notes that the previous health risks were miscalculated by “about 3 times lower than they should have been”. It turns out that even exposure to low levels of the laminate flooring can lead to a greater risk of asthma symptoms and other respiratory issues, as well as eye, nose, and throat irritation. Also, the risk of cancer (which was originally reported to be 2 to 9 cases per 100,000 people) is now closer to 6 to 30 cases per 100,000 people.